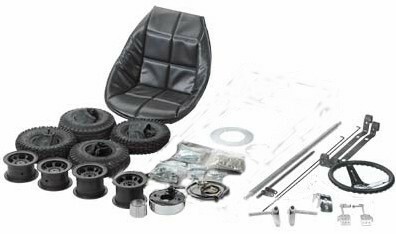 Attention: All go kart and minibike kits are dropshipped directly from Azusa Engineering so that we can save on shipping costs and keep our prices low. 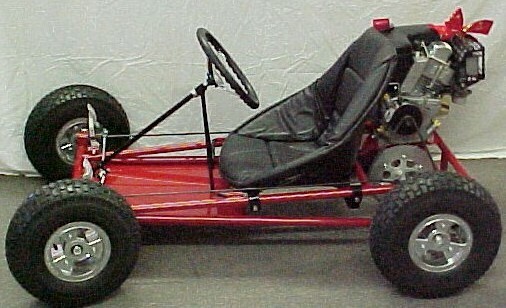 From time to time, Azusa Engineering runs out of frames for the kart kits, minibike kits, or both. 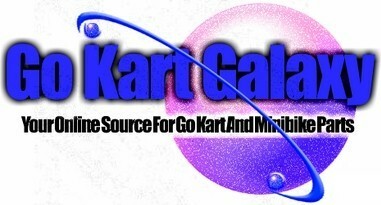 In the event that this happens, we will do our best to post a message on this very page, in order to keep you informed about the availability of the kits. WARNING! 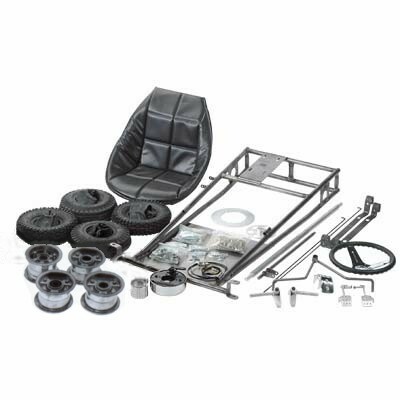 AFTER ASSEMBLING A GO KART OR MINIBIKE KIT AND PRIOR TO ITS OPERATION, HAVE THE VEHICLE EXAMINED BY A QUALIFIED PROFESSIONAL TO ENSURE PROPER ASSEMBLY, OPERATION, SAFETY, AND COMPLIANCE WITH ALL APPLICABLE LAWS. THE SAFETY OF THE RIDER DEPENDS ON IT. 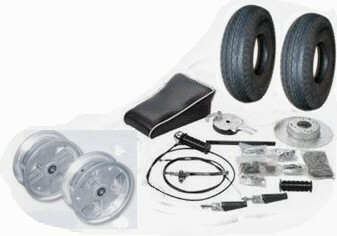 The minibike kit is available with your choice of 4.10 x 3.50 x 5" tires, 4.10 x 3.50 x 6", or with 480 x 8" tires for more ground clearance. 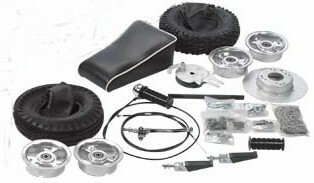 The kit includes everything you need except an engine, clutch, chain guard, kill switch, paint and tools. No welding is required! Everything simply bolts together. 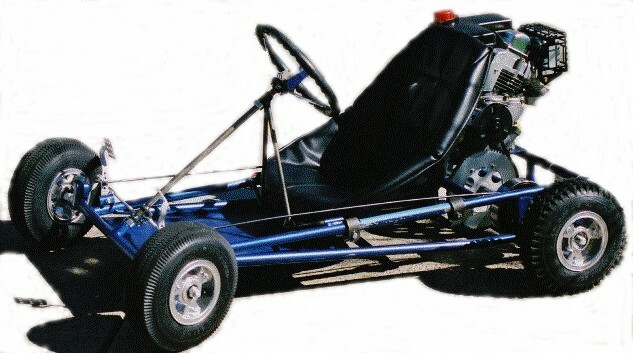 The Frame & Forks come completely welded and are not painted, are made from thick-wall mild steel tubing and will accept most Briggs & Tecumseh engines 2 through 3.5 HP with a horizontal crankshaft. NEW! 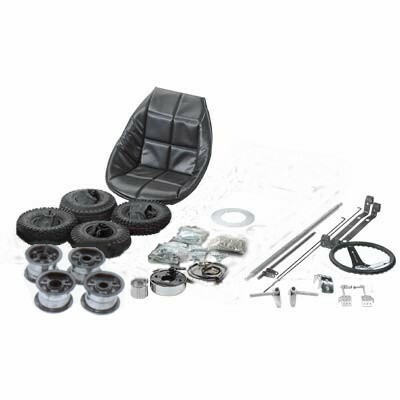 The steel tubing making up our minibike fork is now bent forward at a 30 degree angle for improved steering radius and handling for both kids and adults. NEW! 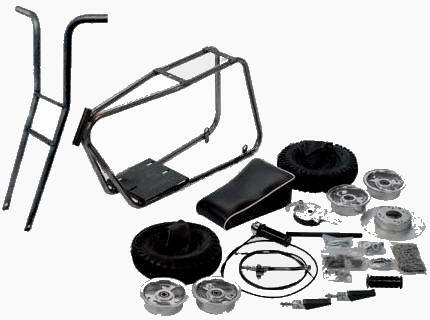 Get a kickstand for your minibike kit! 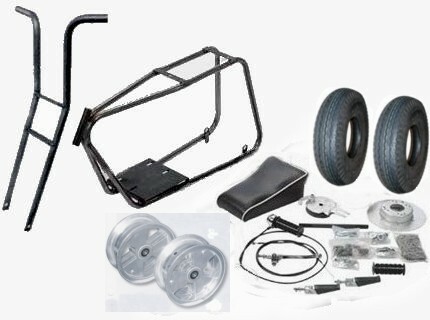 NOTE: Kickstand is too short for the 3542 minibike kit unless you weld on an extension.